To bastardize Charles Dickens: It was the worst of times, and it was the worst of times. Or as my grandmother likes to say, “When I was young, life was much easier.” Returning to reality after the Rio Olympics isn’t going to be easy. For those of us living in Brazil, it’s a sad state of affairs. Everyone – from economists to sidewalk observers – is declaring the country a disaster, caught in the middle of a “perfect storm” – political instability infused by economic upheaval. In 2016, high unemployment entered the Brazilian daily diet along with a second-year running of negative GDP growth. Adding to the woes of this two-year recession is inflation, a full five points higher than the government’s goal. The next presidential election will be in 2018, yet no one knows for sure who will be president from now until then. The country hosted the first-ever Olympic Games in South America led by an interim president. Meanwhile, federal prosecutors are buried in numerous corruption investigations. The two biggest – Lava Jato and Operation Zelotes – are ensnaring everyone from politicians to corporate CEOs, and the scandals show no signs of abating. Thanks to the recent introduction of plea bargaining into Brazil’s legal system, every white-collar criminal who gets arrested is turning in his pals in exchange for a reduced sentence. “They’re singing like canaries,” as they used to say in the American comics. Additionally, an alteration this year in the criminal appeals process means that for the first time in Brazil’s history, wealthy criminals are going to jail, like billionaire Marcelo Odebrecht, CEO of Latin America’s largest construction company. Mr. Odebrecht is in jail in Curitiba after being sentenced to 19 years by Judge Sérgio Moro. Thus, Brazil finds itself in a devastating catch-22 situation – happily dumping corrupt businessmen in prison is having a direct, adverse effect on the already weakened economy. Not a week goes by without new arrests in these corruption investigations. There have been so many arrests that critics have begun to ask if the judiciary has overstepped its bounds. In a country where 80 percent of murders go unsolved, hearing people say the judiciary is too strong is unsettling, to say the least. It’s become easy to believe my pessimistic grandmother. So what exactly is happening? Is the world spinning out of control? Is it the end of democracy? The end of oligarchy? Yes, what’s happening in Brazil is cataclysmic, and here’s why. First, let’s understand the scandals being uncovered in Lava Jato and Operation Zelotes are horrendous and unprecedented in scale, which is saying a lot in Brazil. However, while Brazilians remind us that corruption is not exclusive to Brazil, they privately confess that malfeasance has been endemic throughout the country’s history. Therefore, this perfect storm is not new to this century. It is true that life was less complicated in the past. There was less stress, and there were less decisions to make. On the other hand, grandmothers have been making the same negative pronouncements for generations. Viewed through the prism of nostalgia, life long ago always looks better. While it’s simple to think we are living in the worst of times, it’s impossible to prove that today is any more difficult than in the past. While the Coronels may be gone today, the arrogance of impunity is still at play. In a well-known incident a few years ago, Luciana Tamburini, an inspector who worked for the transit department in Rio de Janeiro, was working at a roadblock on a Saturday night, screening for drunk drivers. Unlike Souza, most of us would accept our predicament, apologize to Luciana for the lack of documentation, accept the small fine, and drive home. Instead, Souza went into a rage and refused to accept the ticket, announcing that he was a judge. Luciana replied: “You may be a judge, but you’re not God.” Judge Souza demanded Luciana be arrested on the spot. When the other transit officers refused to obey Souza’s demand, he called his friends in the police department, and had Luciana handcuffed and arrested at the roadblock while he watched. (Clearly, an element of sexism was on display as well.) When she later appeared in court on the charges, the presiding judge found her guilty of “insulting the dignity of a judge” and fined her the equivalent of three months’ salary. On appeal, Luciana lost. Brazil is still a class-conscious culture where apartment buildings, for example, have separate elevators labeled “social” and “service” – one for the residents and the other for maids and workers. Another example: Impunity extends to federal congressmen, who cannot be tried in a normal court, no matter the charge, but only before the Supreme Court. They also enjoy job perks that include free housing in Brasília and unlimited air travel expenses, perks that elevate their compensation packages to beyond that of Washington’s congressmen. Herein lies the crux of the dilemma – Brazil is a new democracy. As the 19th century British political philosopher J.S. Mill pointed out, while democracy isn’t perfect, it’s far more egalitarian than monarchy. Democracy is the most complex system of government. Today, thanks to the power given to federal judges, Brazil is taking its first steps toward ending its legacy of impunity for the wealthy. While it’s easy to disdain Coronels and their macho arrogance, it’s historically naïve to do so. Coronels are a sign of democracy in its infancy, and they are hardly unique to Brazil or Latin America. A glance at US history reveals similar gentlemen. In the 1800s, America’s captains of industry, men like Ford, Rockefeller, and Vanderbilt, operated much like Coronels. Willard Thorp of Princeton University describes it: “Between the end of the Civil War and 1900, the US was transformed into an industrialized, urban society. “Vast fortunes were being made in oil, meat packing, tobacco processing, steel, speculation in railroads, and city transport lines. The owners of this new money spent their fortunes as they pleased. Many of them had made their way up by ruthlessly wiping out competitors and bribing public officials, from mayors to US senators. It takes time to build a democracy, and the rich/powerful men who control an empire do not surrender their power willingly. That’s why even today 50 percent of the land in Brazil is owned by 1 percent of the population. American journalist Alex Cuadros published a book last month about Brazil entitled Brazillionaires: Wealth, Power, Decadence, and Hope in an American Country. Cuadros draws a parallel between Brazil’s billionaires today and the 19th century robber barons in the US, which is why he chose to put “American Country” in his subtitle. In my opinion, Brazilians need not be self-flagellating when it comes to corruption or impunity. It’s a vestige of colonial days, and hopefully, thanks to a strong federal judiciary, a more independent media, and a politically engaged populace, there is a viable path to taming corruption, although it’s not going to happen overnight. A case in point: Alex Cuadros still hasn’t found a Brazilian publisher for his book. There’s not one publisher in Brazil willing to print negative statements about Brazil’s billionaires. What happened in the US is what is happening in Brazil – democratic principles are engaged in a desperate battle to triumph over oligarchy and defeat the culture of impunity. 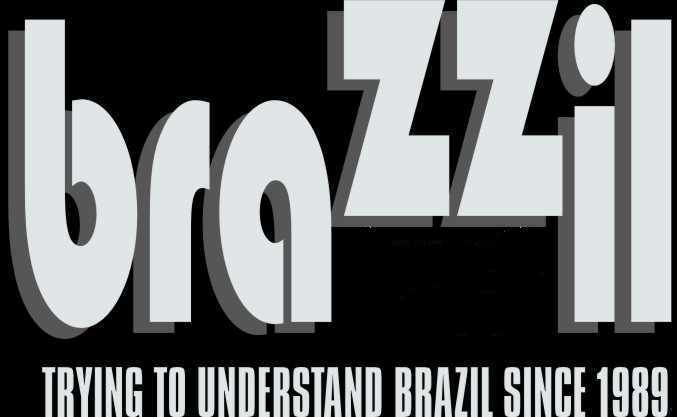 To put it another way, these days Brazil is not for beginners, as Tom Jobim once said. It’s worth remembering that while we all experience nostalgia, the ‘good old days’ included outhouses and barbers who pulled teeth without anesthesia. Thus, it’s logical to assume that all eras of history have faced challenges. Nevertheless, it’s common and arguably healthy to dream of a better life. Every culture has a concept of paradise, perhaps as a stimulus against complacency and a motivation to pursue a better world for our children. The desperation of today’s headlines is understandable – just a few years ago, life was easier for most Brazilians. Historians remind us that there have been several periods of human history when the world convulsed, when mass change descended on a civilization without warning, forcing people to alter their lives. An example of such a convulsive age is the European Renaissance, when an explosion of ideas during a 100-year period changed the way humans viewed themselves and the world. New concepts disseminated by, among others, Leonardo Da Vinci, Martin Luther, Galileo, and the Spanish and Portuguese global explorers altered human behavior forever. Many historians credit this explosion to Gutenberg and his invention of the printing press, allowing for the dissemination of ideas. Before Gutenberg, the only reading materials were those reproduced by monks in the Catholic church, hand-copied religious tracts. Following Gutenberg, there were newspapers and pamphlets, and for the first time many people learned how to read. Another example of massive and rapid transition in society is the Industrial Revolution. In the US and Brazil in the 1600s and 1700s, people lived in rural areas and supported themselves through farming. During the Industrial Revolution in the 1800s, people left their farms and moved to urban areas to work in factories. Alvin Toffler in his book Future Shock argued that while every era faces unique challenges, there have been a few periods in history when the world experienced extraordinary transitions that created cultural revolutions. Toffler noted the Renaissance and Industrial Revolution as examples, and he believed that today we are in the midst of another revolution, the Information Age. Rapid changes are occurring in the way we communicate and the way we work because of new technology. The Information Age, only a few decades old, has already initiated a shift away from manufacturing jobs to service-oriented economies. Less people are working in factories and more are working in offices. Manufacturing tasks are being automated by robots that don’t get tired or paid overtime. The Information Age is supplanting the Industrial Revolution and opening up new vistas. There is an explosion of available information thanks to the internet, which is being democratically disseminated, and it is altering our world and ourselves as much as the Renaissance did. While new technology and information may be exciting, it can also be frightening, especially for grandmothers who are less capable of adapting to rapid changes. When a new age dawns, the old ways disappear. New ideas and new inventions that force people to change their daily habits, like learning to use a different kind of phone, are not easy to accept. To enter a new era, some things must be lost, and that’s cause for nostalgia, or worse. So what lies ahead for Brazil? Like the rest of the world, Brazil is in the midst of this convulsion heralded by the Information Age. Added to the cultural transformation necessitated by the Information Age, there is the current political and economic turmoil. This cataclysmic mixture has created a perfect storm, a witches brew stirring social unrest. While social unrest is frightening and can be dangerous if it turns violent, it is a natural response in times of massive transition. With technology outpacing jobs, people who worked in manufacturing are unemployed. Men who once worked building cars or producing iron ore are not trained to work in front of a computer. Where there is uncertainty about the future and unemployment, there will be social unrest, and we can see this all over the world. The most volatile region in the world nowadays is the Middle East with millions of refugees fleeing civil wars. It’s not a coincidence that worldwide youth unemployment is worst in the Arab countries. Economic upheaval creates fear. In the US, the uncertainty and chaos of the Information Age has spawned the dangerous rhetoric of Donald Trump, who capitalizes on this fear. We are in the midst of a new era, another social revolution, a cultural transmutation. The critical question lies in which direction people will choose to turn during this transitional era. When there are enormous changes in rapid succession, societies erupt, and in fear people look for simple answers to complex problems. People can adapt to change, but are less able and willing to do so when it’s forced upon them rapidly. During these transformational times in history, filled with the uncertainty of social unrest, people often overreact. Economic and political instability add fuel to the fire, and people and governments overcompensate. If people are convinced they are living in the worst possible times, their anger and frustration can lead to demands for firmer, militaristic control of society. Transformations of entire civilizations are by definition unstable, so the human response is to seek stability by whatever means necessary, including the military. Mass fear created by rapid change and political instability brings panic. This same type of mass panic happened during the Industrial Revolution, when there was economic instability in the US at the end of the 1800s. It also happened in Western Europe in the 1930s in reaction to high unemployment and hyperinflation, which lead to the rise of military governments and fascism in Italy, Germany, Portugal, and Spain. The political power of Evangelicals in Brazil today is an example of this desire for stability and simple answers, as is the Tea Party in the US. Some political observers fear that an election win in November by Donald Trump could signal the rise of fascism in the US. When unethical demagogues are given political power in times of crisis, there is the potential for fascism, such as with Brazilian congressmen Eduardo Cunha or Jair Bolsonaro. Brazil is poised on a precipice and has a choice. It can continue along the route of redefining and re-imagining itself as a living democracy, or it can overreact and fall prey to the easy answers and desperate motives of fascism, like 1930s Europe. The key is to stay calm and think clearly. If people recognize that they are living through revolutionary times, more challenging than usual, then they will realize that they can’t be in a hurry to solve the problems. The fear and unrest and confusion Brazilians feel are natural responses in these tumultuous times. More important, they are a sign of the growing pains associated with a young democracy. Unusual times call for unusual patience.